This tutorial covers the use of the Enterprise Browser Network API to detect network connection state. 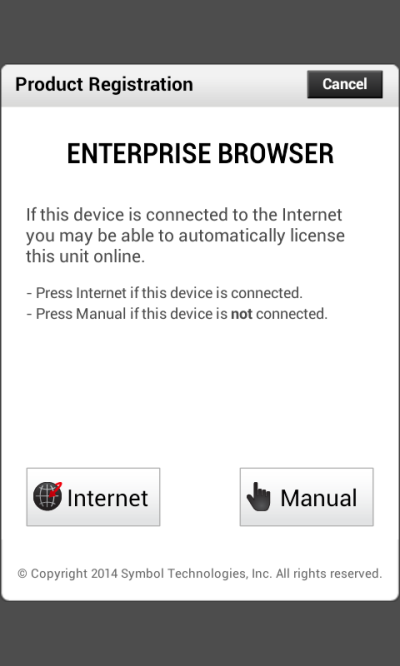 Enterprise Browser includes an API for working with WAN and WiFi networks. The steps shown below are typical for code that uses this API. The following tutorial will walk through creating a working example application using these steps. 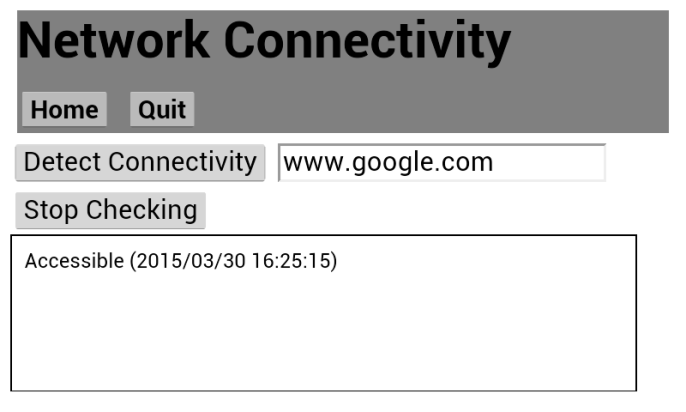 The application checks for server connectivity status based on a given URL. An element for displaying the status of a connection. Create a file named netcon.html in your application directory and open it in a text editor. In netcon.html, add two buttons and an input area into the controls div. The first button will call the API to start polling the connection. The input element will provide the URL to poll for. The second button will call the API to stop polling the connection. Add the method fnDetectConnection() to the SCRIPT section, which is between the end BODY tag and the end HTML tag. The params_hash parameter hash includes settings for the host URL, pollInterval and detectionTimeout. The pollInterval sets the time between each check, in milliseconds. The detectionTimeout determines how long the connection check waits before determining that the connection is disconnected. 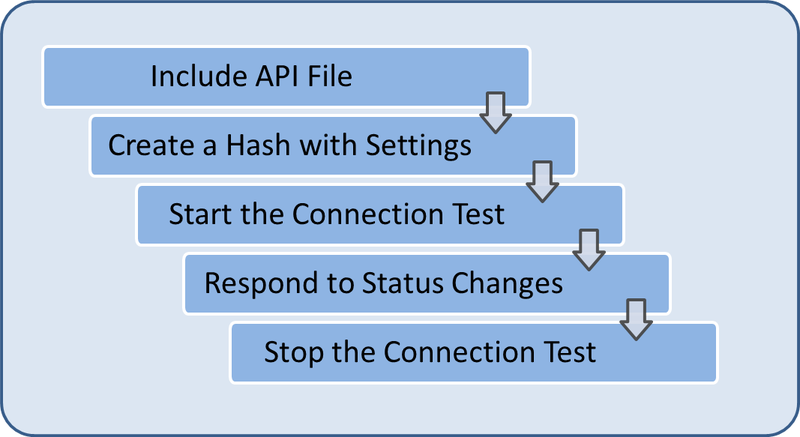 The hash is passed to the detectConnection method along with the name of a method that will be called whenever the API detects a change in status. We need to add the callback function that was passed to detectConnection() in the previous method. Add onConnectionStatusChange() at the end of the SCRIPT section. This method displays a message regarding the connection status to the user. Our callback method uses a utility function to display a date and time along with each status message. The next function will be used to cancel the connection polling that was started by the call to detectConnection(). Create a directory on your device for the Netcon application. Make sure the directory is in an unrestricted location to avoid any permissions issues when Enterprise Browser tries to open the files. We'll place our sample app's files in the device's root directory and show you how to modify the config.xml file accordingly. Update the StartPage setting in config.xml to point to the location on the device where you placed netcon.html and save the changes. Click on Stop Checking to stop polling the connection. Try checking with a different URL. Try checking with an invalid URL. You should get a message saying that the connection is inaccessible. This completes the Enterprise Browser Network API tutorial. For more information on the Network API see the Enterprise Browser API documentation.